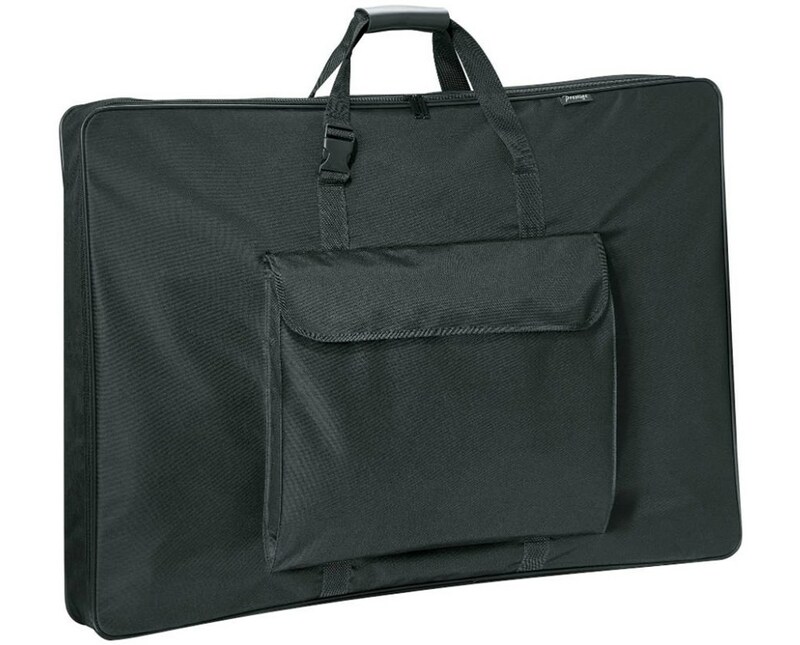 The Prestige Carry-All Soft-Sided Art Portfolio is a durable and lightweight bag for keeping important projects safe and organized. This is great for blueprints, maps, floor plans, layouts, and other large files. It features a wire-sewn frame that allows the portfolio to maintain form. It also comes with a three-inch gusset for expansion. 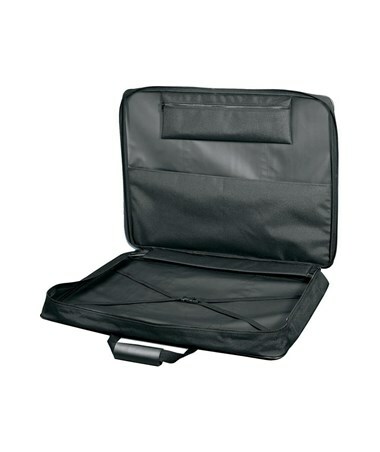 Constructed from black, water-resistant nylon material, this Carry-All portfolio is designed to last long. It includes a zippered pouch inside for keeping smaller objects. Also, it has an oversized storage pocket for carrying artwork and papers safely. Plus, this art bag includes an elastic cross strap that holds bigger projects securely in place. 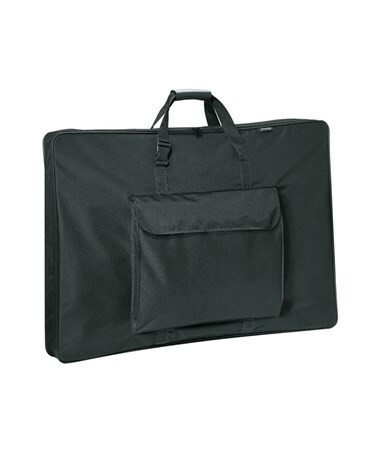 For easier document handling, the Prestige Carry-All Soft-Sided Art Portfolio includes handles that can be converted into a shoulder strap for comfort and convenience when carrying heavier projects. 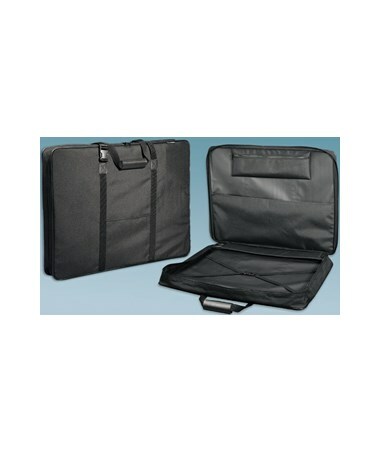 It is equipped with rubber feet that protect the portfolio from any abrasion. 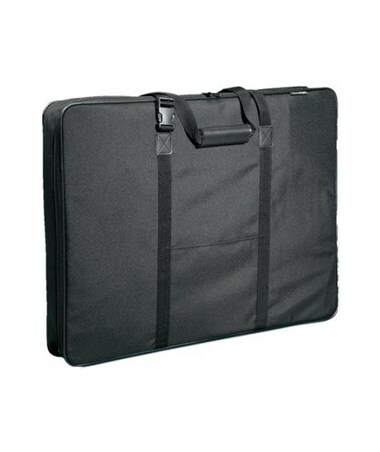 The Prestige Carry-All Soft-Sided Art Portfolio offers four sizes to suit different storage needs. Please select your preference from the menu above.